Whether you were a caregiver for your spouse or became a widow after a sudden unexpected death, it is imperative that you set aside whatever time you may need to take good care of yourself. That’s a challenge for most widows because so much is being thrown at us especially in the early days. When we have gotten through all of the arrangements, filled out all of the paperwork and then made all the necessary changes that have to be made, we are simply exhausted. Many widows have children to raise alone and are focused on caring for them. Self-care is the last thing on a widow’s mind. Grief definitely affects your physical, mental, emotional and spiritual health. Your adrenals may crash like mine did from all the overload that you have gone through. Mentally you find yourself in a fog that may not leave you for quite a while. It’s hard to think about the next moment much less what steps you need to take to care for yourself. Emotionally you are in the deepest, darkest most painful place that you have ever been. 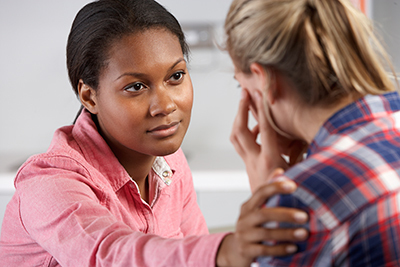 You could find yourself experiencing chest pain, PTSD, panic attacks or new health issues. Spiritually you may be struggling with being angry at God or filled with questions as to why in this world this happened to you. You may find that your faith is completely and utterly crushed even though you know that you still love God. You are NUMB. In my own life I have found that there were and are several things to do in order to care for myself. The first thing I knew that I had to do was find professional help to navigate through grief. My grief was layered and complicated because I had lost three loved ones within four months. After doing some online research, I found a licensed christian psychologist who had worked with widows for over thirty years. Because he was in Colorado and I am in Tennessee, I worked with him by phone for nine months. I also did four ten-week grief/growth groups for widows in the first two years after my losses. Between my third and four year of grief I again realized that more help was needed. This time I was able to find a licensed Christian grief counselor in my hometown and worked with her for six months to deal with letting go of more deep hurts, disappointments, and expectations of others. It was here that I was also introduced to bilateral music for PTSD and found that to be helpful. Bilateral music must be listened to in a quiet setting with headphones or earbuds in order to heal your brain . The next step my daughters had me take (yes, I needed their guidance especially in my first year) was to see a functional medicine health professional to take a good look at what was going on with me not only physically but mentally, emotionally and spiritually. That’s the beauty of working with a functional medicine professional because they consider the body as a whole and work with you to get to the root of the problems in all those areas instead of just putting a bandaid on your symptoms. Exercise of some sort is important. Think of it as medicine because it raises your level of good endorphins. I find that walking on my treadmill for thirty to forty-five minutes five or six days a week is a good time not only to move my body, but to listen to praise and worship music and pour out my heart to God. The use of pure essential oils has been in my life for nine years, but only in the last few weeks has my oldest daughter been learning about different blends of essential oils that can be used to help a person process through grief. I am in the beginning stages of trying these blends to see which one might work well for me. One of the biggest struggles a widow has is nourishing her body. Either she has no appetite and just doesn’t want to cook for one or she finds that food becomes her comforter. During the first months after losing her husband, she finds that making out a grocery list and meal planning is physically draining and impossible. Making that trip to the grocery store is filled with grief triggers. She finds herself reaching for her husband’s favorite foods and realizes that she can’t remember what she likes to eat. It becomes easier to just get take-out food and avoid the grocery store altogether. This can not only drain you financially, but we all know that a huge percentage of take-out foods are processed foods that are not good for our bodies. I decided early on that it was going to be my personal responsibility to take the best care of my body that I can. My healthy eating had begun nine years ago. As I continued on with eating the right foods I found that too many fresh vegetables and some fruits were going bad before I could get them eaten. I tried juicing for awhile, but found that to be expensive and a lot of hard work using up energy that I just didn’t have. Grief is hard work and takes so much energy each day. Last year another one of my daughters introduced me to a product called Juice Plus which is literally a salad bar with fruit in either capsule or chewable forms. These veggies and fruits are brought into the warehouse at the location of the organic fields where they are grown, are juiced and then dehydrated at a low temperature so that none of the goodness is lost. Not only is this product gluten free with no artificial preservatives, colors or additives, but it is NSF certified meaning that the standard is higher than non-GMO, the product is pure and the ingredients on the label is what is actually inside. This is very important to me. 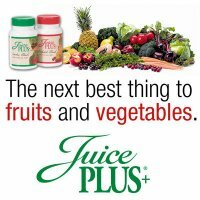 There is no way that I can eat up to thirty different vegetables or fruits a day, but with Juice Plus I can fill in the gaps. Many times widows find themselves alone in their grief with no other widows around who “get” what they are going through. After much online research, I was able to find several Christian widows facebook groups that are like lifesavers thrown out to widows. Remarried widow and author Ferree Hardy has not only a blog for widows that contains many widow resources, but also has three different private facebook groups geared to new widows/Lifeboat, widows who are ready to begin moving forward/Going Ashore, and widows who are ready to start dating again/Loveboat. If you are interested in any of Ferree’s private facebook groups and would like to be added to them, contact her and make your request. There are several other groups for widows which include the Widow’s Might/aNew Season and the Modern Widows Club . Widow Miriam Neff has a wonderful website for widows called Widow Connection that includes DVD resources as well as two books that she has written. I highly recommend her book FROM ONE WIDOW TO ANOTHER as well as Ferree’s book POSTCARDS FROM THE WIDOWS PATH. The most important thing you can do for your self-care is to spend time alone with God every day. For a long time after my husband went to heaven even though I was an avid reader, I found myself unable to focus on reading. My mind was just in too much of a fog. One day I came across Daily Audio Bible. You can either go to their website every day and listen to it on your laptop or you can download the Daily Audio Bible app and listen to it on your iPad or iPhone. 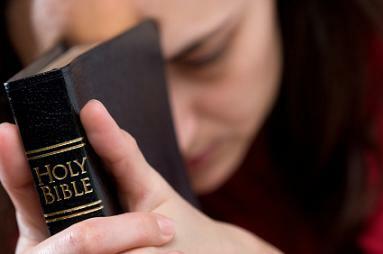 One of the things that I greatly miss is listening to my husband read the Bible to me aloud. Daily Audio Bible is read aloud by a gentleman who takes his time as he reads so that you can absorb God’s Word. Every morning now before I start my day I listen to him read something in the Old Testament, New Testament, Psalms, and Proverbs. So many times God uses that to speak to my heart and nourish my soul. 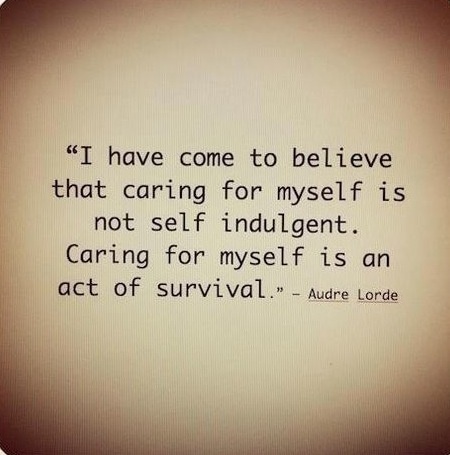 What are some things that you have done as a widow to take care of yourself?